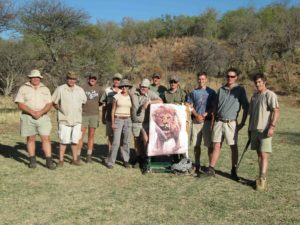 The FGASA Advanced Rifle Handling Qualification is becoming more and more important as most lodges and nature reserves are now requiring that potential guides should have a rifle proficiency and the FGASA Advanced Rifle Handling qualification. The Advanced Rifle Handling course aims at equipping the candidate with the necessary skills and knowledge to handle a large calibre rifle safely and with confidence. 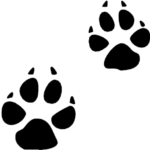 It is structured specifically towards obtaining a qualification that would allow the candidate to conduct drives and / or walks in dangerous game areas. The course content consists of two parts, i.e. Advanced Rifle Handling (theory) and practical coaching and assessment. 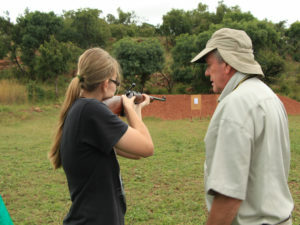 The theoretical part of the course intends to ensure that a guide can safely maintain, handle, shoot and secure a rifle according to laid down rules, procedures and legal requirements, and use a rifle effectively. 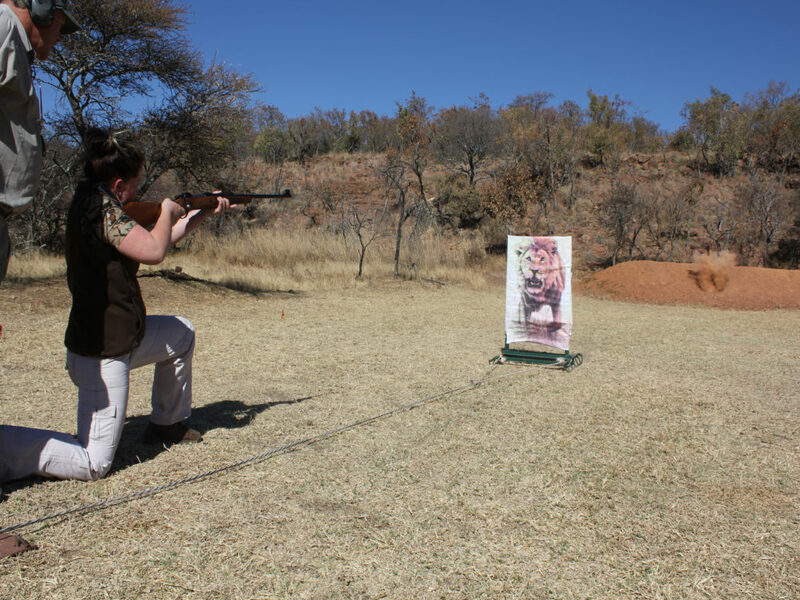 The practical rifle handling and assessment include amongst other, aspects such as correct rifle stance, aiming and shooting correctly, follow through, shooting accurate under pressure. Candidates start off by using smaller calibre rifles to build confidence and to develop the correct aiming and firing techniques. Please note: This is not a rifle training course per se, but a rifle handling course during which course attendees are coached in the use and competent handling of a large calibre rifle. Preferably, course attendees should have had some experience in firing a rifle of any calibre before they come on the course. However, persons who have never fired a rifle before will get preparatory training to that effect.